The location of Culver Garden’s ACE Cash Express is in the heart of Braddock Square Shopping Center, at the intersection of Inglewood Blvd and Braddock Dr. There is plenty of free parking at this walk-in location. Culver Garden Bus’ bus lines #2 and #5 have stops at Braddock Drive and Inglewood Blvd. Check CCB’s website for more information on bus routes and regulations. China Express, Subway, Get Nails, Cricket Wireless, and Northgate Gonzalez Markets all neighbor this location. Obtain an Auto Title Loan Powered by LoanMart in Culver Garden! The amount borrowers are eligible to borrow is determined by the vehicle’s equity, a borrower’s ability to make regular monthly payments on time, and other qualifying factors. Apply for an auto title loan powered by LoanMart in Culver Garden today!1 Inquirers are free and there are no initial obligations! Competitive rates throughout the industry1. Obtain funds in as little as 24 hours if you qualify3. All credit types encouraged to apply1. Refinance an existing auto title loan if you qualify1. Apply for an auto title loan powered by LoanMart by calling toll-free at 855-399-2261. Submit an information request form online. 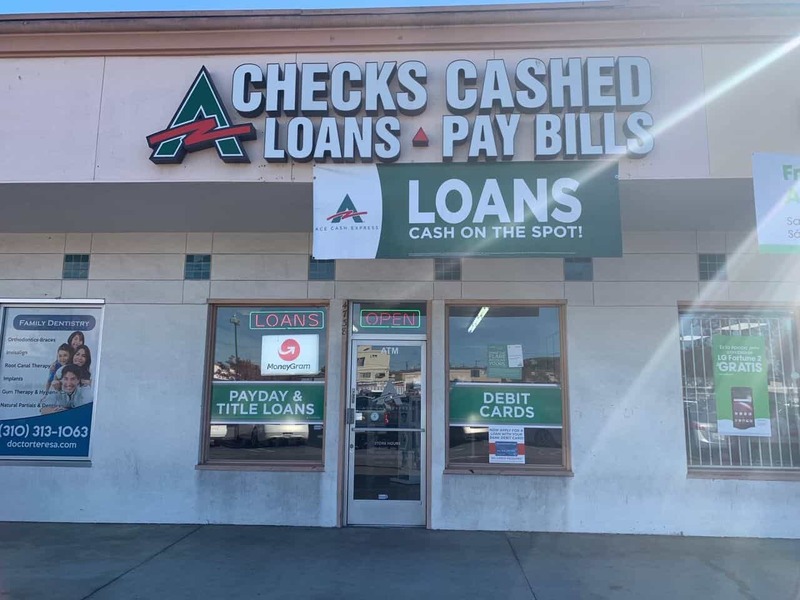 Or visit an ACE Cash Express location to apply in person.